The video game industry’s popularity is growing at an extraordinary speed. This may be because video games are not just for tech geeks or kids anymore. In fact, the largest group of Playstation and Xbox customers are between the age of 25-34 years old. Knowing they had a tremendously diverse and expansive audience, Electronic Arts (EA) created EA Play, an annual, 3-day live event in Hollywood, CA. EA Play is dedicated to delivering the world of EA games directly to its video game-loving fans. EA chose Elevate as its event staffing partner for the massive event. Through weeks of planning, Elevate provided 135 brand ambassadors, 4 production assistants (including pre/post production), 7 team leads and 4 costume characters. As a full-service staffing partner for EA Play, Elevate was responsible for recruiting, hiring and training all of the convention staff. Additionally, Elevate provided 2 onsite supervisors who provided live program assessments to optimize the event. 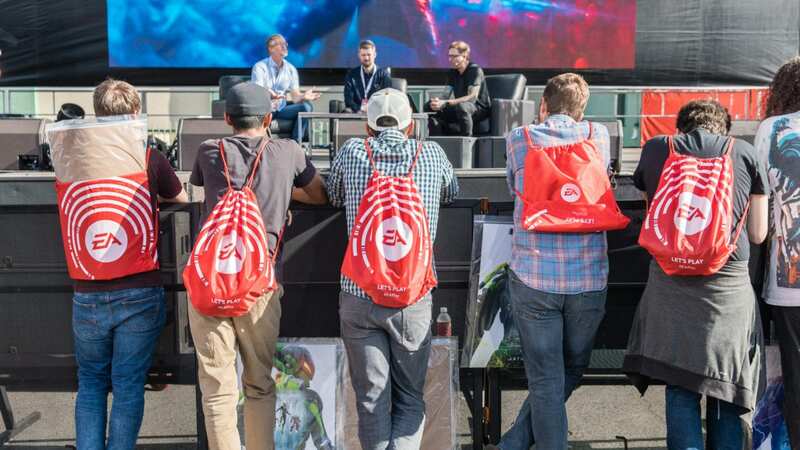 EA Play was immersive and exciting for everyone involved, and an event that Elevate is immensely proud to have been a part of!